We often to undergo the vicious cycle of losing weight. What frustrates us the most is the fact we are not losing weight or it is going up. When you notice that the scale is not moving down you will feel like a failure and you will start to lose your motivation. Here we have some of the tips to help you find out why you are not losing the extra pounds. You have hormonal imbalance if you are suffering from PMS, improper menstrual cycle and you are fatigued. The reason of hormonal imbalance can be improper diet or depression. If you are stressed all the time try to change your environment and start some relaxing therapy. Improper digestion leads to the storage of extra fats in the body. This is the reason that you are unable to get rid of the belly fats. The best solution will be the green tea diet. It will increase your metabolism and the detoxifying properties of green tea will help in cleaning your digestive system quickly. Within few days you will start to notice results. One of the biggest mistake that most of the people make is they do not follow a proper exercise plan. You should have a resting time between the exercise schedule to protect your body from any potential injuries. Mostly, the people suffering from stress often eat too much. They will consume a lot of carbs and relaxing diets like French fries, ice cream, and chocolates. These items are the biggest source of fats. Apart from that, people do not chew their food properly. It disturbed the metabolic rate and the food is not properly digested. The biggest reason behind the inability to lose weight is a sedentary lifestyle. If you have to spend your entire day in front of the computer screen you will find it hard to get time for physical activities. It is important that you change the schedule and include sports in your routine. Prefer to climb stairs or walk if your office is near your home. Sometimes your body might not have the proper nutrition especially if you have to stay indoor most of the time the normal value of Vitamin D in your body will decline. You should get yourself checked so that the doctor will let you know the nutritional deficiency you are suffering from. The nutritional deficiency will disturb the metabolic reactions in the body. Follow the treatment plan advised by the doctor and you will notice that your body will get stronger. Your lean muscles mass will increase and the deposited fats will be used by the body as a source of energy. If you tried losing weight but didn’t manage to obtain the desired results, maybe something was missing from your plans. Maybe the combination of food was not right, maybe your workout routine was not effective enough, or maybe the diet was not the right one for you. There’s no need to worry if your weight loss plan didn’t work as expected, as you probably didn’t find the right one for you. This is why it is worth reading the following lines, as you will learn a couple of valuable tips that will help you lose weight in a more effective manner. These are methods that work in most of the cases, so unless you actually have a medical condition that is not allowing you to lose weight in a healthy manner, there shouldn’t be any problems along the way. Just be determined and dedicated to your goal. Hydration is essential during a weight loss diet, as a body that is adequately hydrated will be able to get rid of fat faster and more effectively. 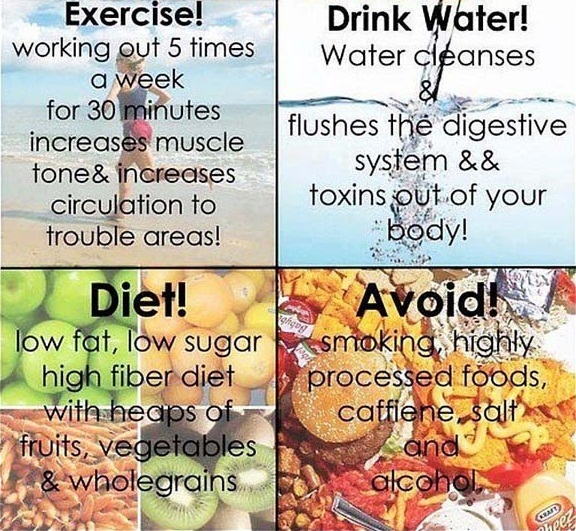 So make sure you drink plenty of water throughout the day. Also, a proper intake of fresh fruits and vegetables will also help you introduce a good amount of liquids in your system day after day. But, when drinking so much water, it can get rather boring. So, diversify your menu of drinks and add freshly squeezed lemon or grapefruit juice to your drinking water, to change its taste. Also, this trick will promote a more effective washing away of the fats in your body, so this is another great reason to try different water flavors. Don’t hesitate to prepare cucumber water either, as it is refreshing and tasty, gives you all the good minerals and vitamins contained by cucumbers, and there are plenty of recipes to try. And because summer is coming, make sure to enjoy as many watermelons as you can, as it is their season, these fruits being rich in water and having an amazing flavor at the same time. If you are interested in weight loss supplements, it is recommended to direct your attention toward those that have a natural provenience. In other words, don’t take any weight loss supplement that comes your way. You should be careful about the ingredients of the product because it is not desired to introduce in the body all kinds of substances that can harm you. Concerning plants that promote weight loss, it is well known that green tea can be a great ally in the battle against excess weight. It is a powerful antioxidant, protecting your body against free radicals, and boosts your metabolism and the production of energy, so that you will end up burning your reserves and obtain a great body shape. But, when it comes to green tea, you have to drink a good amount to get sufficient benefits for weight loss. This is why green tea extract in supplement form is more convenient. This way, you won’t have to stop for a cup of tea, but take your supplement according to the recommendations and move on with your schedule. The best part about green tea extract supplements is that they promote a good state of health as well, keeping common colds and flu at bay, protecting your heart against diseases, and even preventing the appearance of cancer, due to its anti-oxidant action. So, you have more than enough reasons to opt for this particular supplement instead of others that may not be this healthy. While a weight loss supplement like green tea extract will help, you cannot expect it to do all the work. You still need a diet and workout schedule to get a dream body. In the case of people that take green tea extract supplements and close the day with a bottle of soda and a big bag of chips, weight loss will never occur. You need to use an effective diet with the right kind of supplements and workout routine, and results will not hesitate to occur. While dieting or exercising can provide some sort of results, taken alone, they are more powerful when used together. If you add a reliable weight loss supplement to the mixture, success is guaranteed. But you will still have to stay away from culinary temptations and stick to your diet. Doing so will get you to your goal faster. Speaking of diets, there are so many out there that only thinking about it makes you confused. So, how will you know which one to pick? First of all, you need a diet that will protect your health and well-being by promoting healthy foods and eating habits. Secondly, it would be great to find a diet that you can follow on a long-term, as it is healthier to lose weight gradually and it is easier to form a healthy lifestyle this way. At a closer look, the HCG drops seems the most promising one from these points of view. 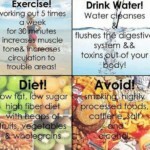 It is composed out of several stages so that you will slowly learn what you need to do to lose weight and maintain it. The name of the diet comes from a hormone, which is used as weight supplement in this case. But don’t worry about this aspect, as the dose will be adjusted according to your body and needs, and there are no risks for this supplement to mess up your body’s own hormonal balance. The reason this hormone is used is that it is capable of changing the way your metabolism works. If you managed to gain weight up to this point and you find it difficult to get rid of it, then maybe something is wrong with the way your metabolism functions. With the help of this diet, things will change and your body will begin burning fat as it supposed to so that you will lose weight effectively after all.